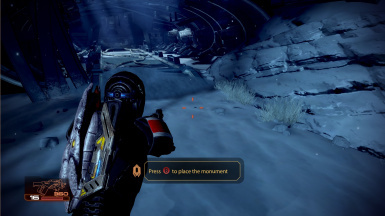 Remove Shared Cooldowns compatiblity patch for No MiniGames and ME2Controller You need to install this mod before its patch. - Remove 30 save limit. - Replace certain characters in the tlk files that don't render for some users. As suggested by dontforgetp. - Adding Korean startup_int.pcc file. - Forcefeedback (controller vibrations) is no longer always enabled. It is now switched on/off through the menu option. - Removing a 25% accuracy reduction that was hardcoded in for mouse/keyboard players. - Allows editing of character code during character creation (Requires keyboard). - Allows copy/paste of character code during character creation. - Restores the intro text at the start of a new game. The lack of intro text was a causing a music sync issue. boarder around the power/weapon info. 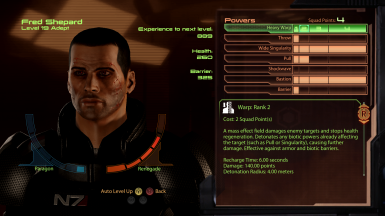 This MOD adds full XBOX 360 controller support for playing Mass Effect 2. 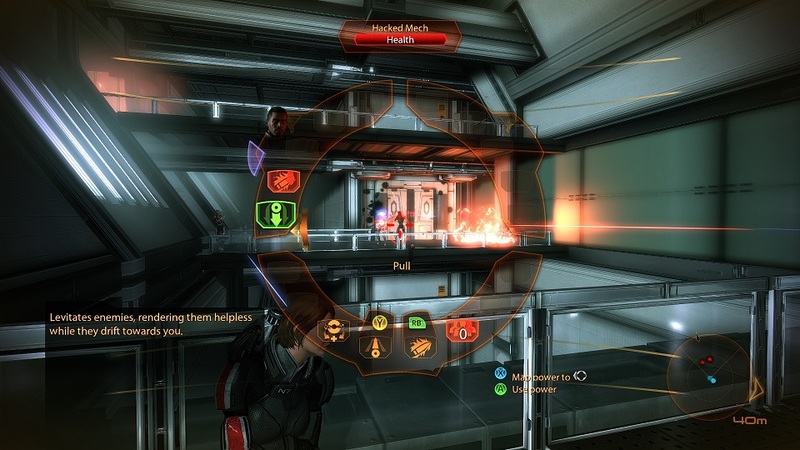 Mass Effect 2 shipped with all the original XBOX controller interfaces but was missing some power/weapon wheel resources. This mod re-adds these textures, switches the config over to use the xbox interfaces, forces chunks of code to go down a 'console' path and changes the tutorial messages to controller buttons. Installing this MOD will break some elements of the keyboard and mouse support. If you want to play with keyboard and mouse, uninstall this mod. 1. 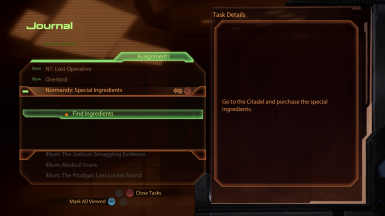 Copy the BioGame directory to your Mass Effect 2 install directory overriding the originals (Back them up first). - Game crashes on startup. Make sure you have not backed up files in the game directory. The game will try to load both files and crash. - DLC Warning on game load. Copy the files from the DLCFix directory into the you Mass Effect 2 install dir. This MOD has only been localised to English, French, German and Italian. To get it to work with other languages it might be possible to just copy the Startup_INT.pcc file over your Startup_<Langugage>.pcc file. This workaround will still leave some messages with keyboard references. Without this workaround the game will crash on startup. If you would like to help localise this MOD please send me a copy of your Startup_<Language>.pcc and the BIOGame_<Language>.tlk files. I'll then send you some instructions on how to localised it. There are 88 strings that will need to be updated. Sadly I haven't heard from Moonshine since August. He did not hand over this mod to me in any formal way. I just want to see this mod finished off and continue to be supported. I have no reason to think he would not be happy with me to host this on the nexus and continue to work on it. 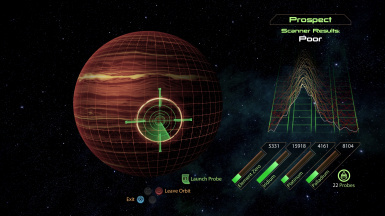 All files in this latest release have been recreated from the original game files. I felt it important that I understand all the changes to properly support it. for us to build upon. Special thanks to Soulfly28 and srimk. - The creators of the tools used: ME2Explorer, JPEXS Free Flash Decompiler, UE Explorer and Gildor's tools. 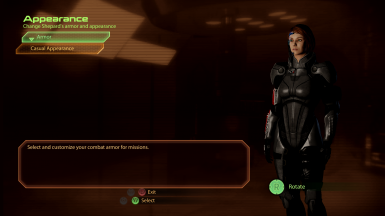 - All the people at me3explorer forums that helped test and support this mod. - Lynma for the French translation. - FreakyFerrox for the German translation. - pexpe85 for the Italian translation. - Gildor for his help with textures.